Whether you’re getting started, getting frustrated or just not getting it all, becoming a successful landlord is not always easy. Be it on account of the maintenance, the tenants, the financing or the remaining list of unforeseen potential pitfalls, owning rental property can often be downright frustrating – however, it doesn’t have to be that way! 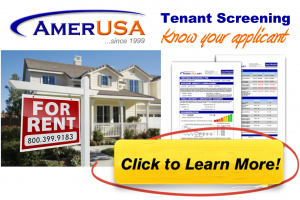 Regardless of whether you’re renting out a single room in your home or are responsible for multiple property units, AmericanLandlord.com brings you the collective personal experiences of thousands of professional and average American “everyday landlords,” so that you may learn in only a few hours what usually takes years to discover the hard way. AmericanLandlord.com is meant to simplify and clarify the complexities of the real estate rodeo. It is designed for anyone with the slightest interest in real estate, especially homeowners that may (one day down the road) be confronted with the opportunity either to buy another property or to rent out their primary residence – perhaps to accommodate schooling, military, career, familial or other needs. It doesn’t matter if you consider yourself “in” the real estate industry or not; everything you need to know about property management has been carefully presented to educate the tenderfoot, as well as to enhance the seasoned wrangler’s wealth of knowledge. Next Next post: Rent or Sell Inherited Property?